Simply stellar crudo are a perfect match with a spritz or Negroni, sure, but Bar Mezzana has also proven the union between swizzles, mai tais, and other rum-focused drinks. Now the South End spot is doubling down on that island style: The team, including beverage director Ryan Lotz, will open a tiki bar and restaurant called Shore Leave later this year. Headed for new construction right across Harrison Avenue from Bar Mezzana, Shore Leave is in the design phase right now, care of Hacin + Associates, the Boston firm that envisioned Myers + Chang and State Park. Cafco Construction will oversee the buildout, and the team is eyeing a late 2018 debut. 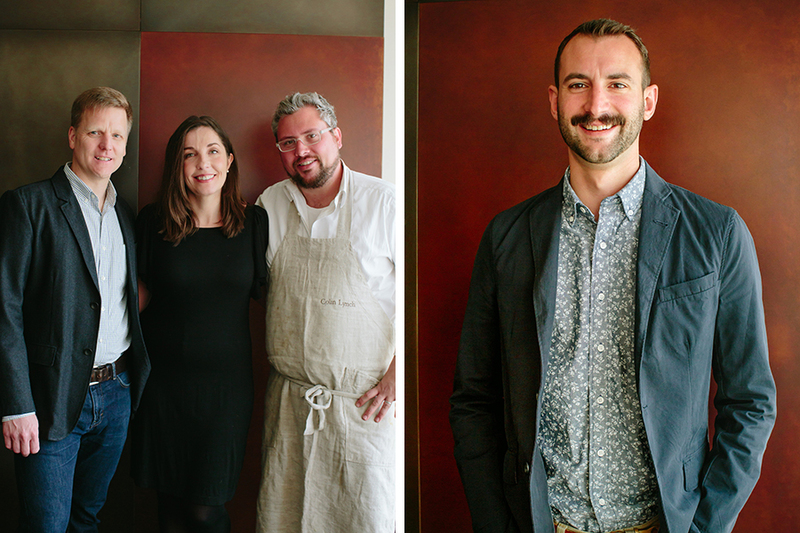 Executive chef Colin Lynch, general manager Heather Lynch, and business manager Jefferson Macklin worked together with the Barbara Lynch Gruppo for eight years, before venturing off on their own with Bar Mezzana. The coastal-Italian-inspired spot opened in June 2016, and immediately impressed with uncomplicated antipasti, crudo, handmade pasta, and more. Beverage director Ryan Lotz, formerly of No. 9 Park, has been involved since day one, and is a partner in Shore Leave. Along with classic Italian cocktails, Lotz has played with house-made shrubs and bitters on his exciting, often-changing drink menu at Bar Mezzana. For special events like the New Year’s Day Magnum Pi brunch, tiki cocktails come out in full force, but the bar can (and will gladly) always whip up a daiquiri—and, we know from experience, Lotz will create a refreshing sipper with Polar Seltzer’s Dragon Whispers, if you bring him a can. “We want the drinks to have visual appeal, so folks see the drinks and are intrigued by them, just like we did with crudo,” he previously told Boston, talking specifically about the avocado toast-inspired drink, Smoothie Moves. No additional details on Lynch’s menu or anything else just yet, but stay tuned. Also, follow @shoreleavebos on Instagram and on Facebook to stay in the loop. Need your tiki fix tonight? Tiki Rock recently opened in downtown Boston, and Blossom Bar at Sichuan Garden is an oasis in Brookline Village. Plus, Plantation Rum is hosting a tiki takeover tonight at the Smoke Shop BBQ in Fort Point, while Cambridge’s Forage hosts Privateer Rum for an island party on Wednesday, Feb. 21. Shore Leave, coming to 345 Harrison Ave., South End, in 2018, shoreleaveboston.com; Bar Mezzana, 360 Harrison Ave., South End, Boston, 617-530-1770, barmezzana.com.